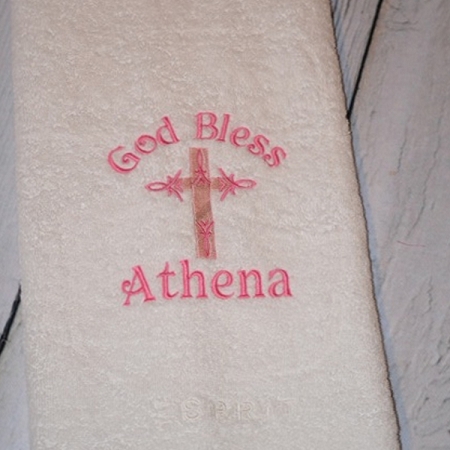 Beautiful custom made Baptismal Towel make a beautiful gift and a everlasting keepsake. 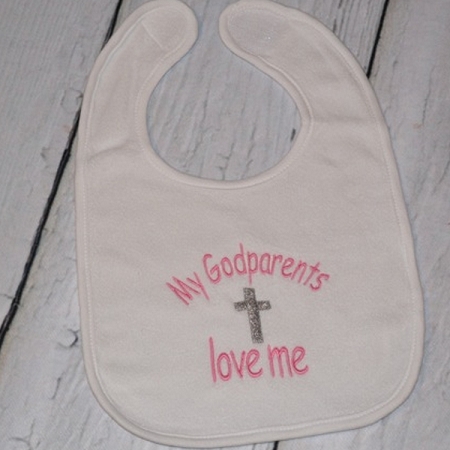 Price includes a Cross. 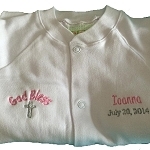 You can add the baby's name and Baptism date for an additional cost. One processed this item cannot be returned.